According to The Hollywood Reporter, Jonathan Groff will star an upcoming, untitled HBO comedy pilot from Sarah Condon and writer Michael Lannan. Read the original report here . The series follows three gay friends living in San Francisco. Groff will play 'Patrick', a video-game developer. Frankie Alvarez joins Groff as 'Augustin', Patrick's best friend. Andrew Haigh is set to direct the pilot episode. Groff's TV credits include Starz's "Boss" alongside Kelsey Grammer and appearances on "The Good Wife". His film credits include Taking Woodstock and The Conspirator, as well as the upcoming Disney animated feature Frozen and David Sedaris ' C.O.G. 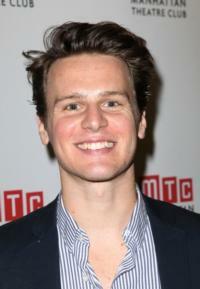 Groff starred in Broadway's Spring Awakening, for which he earned a 2007 Tony Award nomination. He has also appeared in Broadway's In My Life and off-Broadway's The Submission, The Singing Forest, Prayer for My Enemy and Hair.